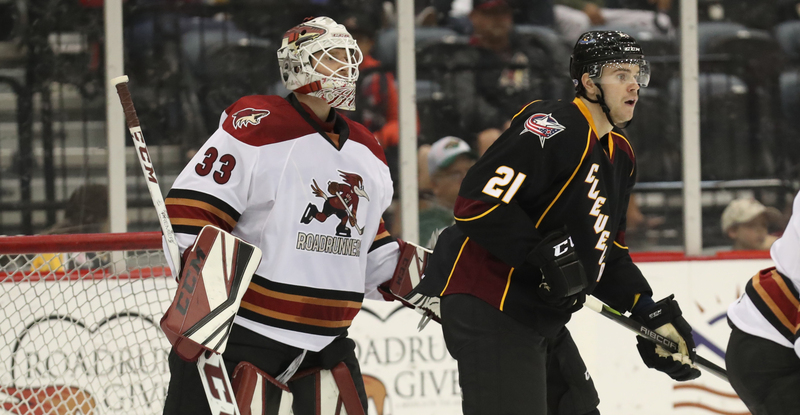 The Roadrunners were held to one goal for just the second time this season in their 2-1 overtime loss to the Cleveland Monsters on Friday night at Tucson Arena. A point was earned, though, and the team has collected standings points in their previous seven contests, going 5-0-2-0 during that span. Despite the result, the team remains tied for first place in the Pacific Division. What would ultimately be the Roadrunners’ lone goal of the evening came in the opening moments of the contest, when Michael Bunting buried his second goal in as many games, beating Cleveland’s Matiss Kivlenieks with a wrist shot to the far side. Bunting’s marker, 2:04 into the game, gave the Roadrunners a 1-0 lead. Just over four minutes later, and less than seven minutes into play, Cleveland’s Brady Austin tied the game 1-1, scoring his first goal of the season for the Monsters. The game would remain scoreless for the remainder of regulation. The Roadrunners, who came into the evening having outscored opponents 11-3 in third periods this season, were unable to reclaim a lead. Adin Hill, in his first start back with the Roadrunners since his assignment from the Arizona Coyotes last Saturday, put forth a strong effort, stopping all eight shots he faced in the third period to extend the game to overtime. Nick Merkley was denied the Roadrunners’ best scoring chance of the extra frame when his wraparound attempt was thwarted by the post. Cleveland’s Carter Camper netted the overtime game-winner with 1:04 left to play when he buried a rebound off of a loose puck amidst a scrum in front of the Roadrunners’ net, where Adin Hill was caught in a vulnerable position after stopping the Monsters’ initial attempts. 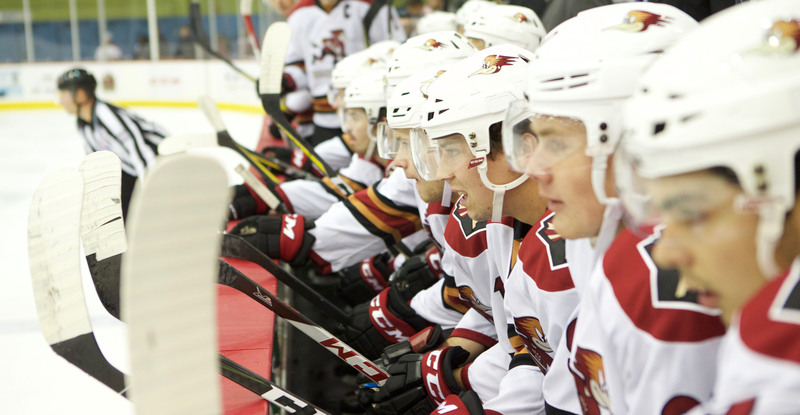 The Roadrunners are now 1-2 in overtime contests this season, and have an overall record of 5-1-2-0 through their first eight games. Adin Hill made a total of 27 saves on the evening. Emerson Etem played in his 300th career professional game; his 127th in the American Hockey League. The teams will reconvene for another match-up Saturday night at Tucson Arena, where the puck is scheduled to drop just after 7:05 PM.